Frances Irvine, left destitute in the wake of her father’s sudden death, has been forced to abandon her life of wealth and privilege in London and emigrate to the Southern Cape of Africa. 1880 South Africa is a country torn apart by greed. In this remote and inhospitable land she becomes entangled with two very different menone driven by ambition, the other by his ideals. Only when the rumor of an epidemic takes her into the dark heart of the diamond mines does Frances see her road to happiness. But before she can follow that path, Frances must choose between passion and integrity, between her desire for the man who captured her heart and her duty to the man who saved her from near ruin, a decision that will have devastating consequences. 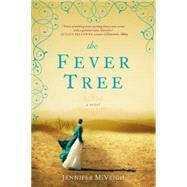 Jennifer McVeigh graduated from Oxford University in 2002 with a First in English literature. She went on to work in film, television, radio, and publishing, before giving up her day job to write fiction.